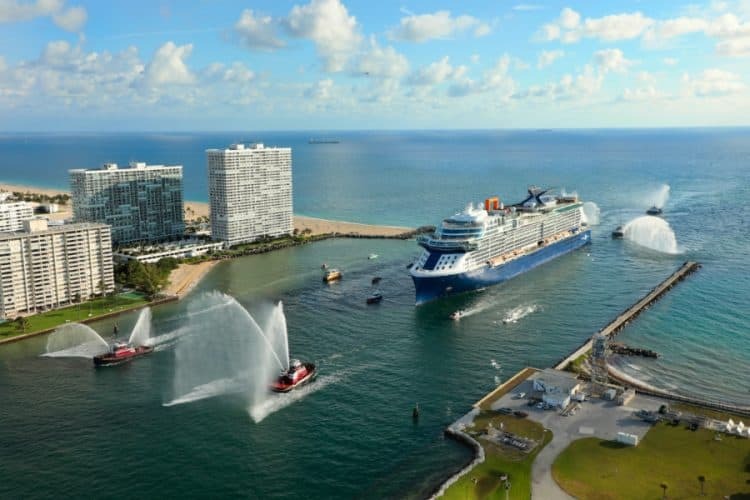 The most anticipated new cruise of the year has finally arrived in Florida after completing a transatlantic voyage from France. Celebrity Edge which is the first ship of her kind from Celebrity Cruises is set to begin Caribbean cruises in December. Celebrity Edge has arrived in the U.S. for the very first time after completed a 15-day transatlantic voyage. The new Celebrity ship departed the Chantiers de l’Atlantique shipyard in Saint-Nazaire, France, on November 4, 2018, on a 4,000-mile across the Atlantic. 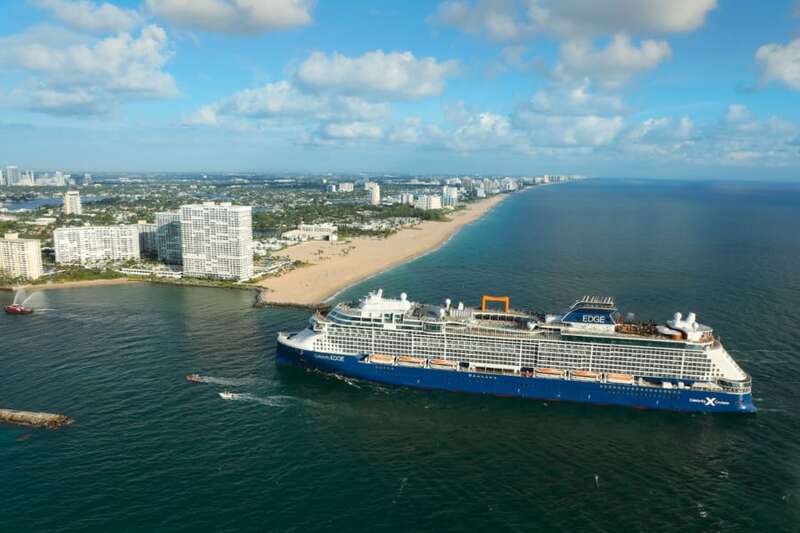 Norwegian Edge which is the first in her class arrive at her new homeport of Port Everglades, Florida with 1,400 crew members already onboard. The ship arrived at Terminal 25 (T25) which has been brought to life in collaboration with Broward County’s Port Everglades, Bermello Ajamil & Partners, Inc. and Moss Construction. The new modern facility also celebrated its grand opening at the same time making it an extra special occasion. The most anticipated new cruise ships of the year will begin sailing 7-night eastern and western Caribbean itineraries from Port Everglades on December 9, 2018. The ship will first offer two preview cruises to the Bahamas before her maiden voyage for regular service. In spring of 2019, Celebrity Edge will head across the Atlantic again to offer guests Mediterranean cruises with a range of seven- to 11-night sailings visiting iconic cities, including Barcelona and Rome. Celebrity Edge is 117,000 gross tons and has a guest capacity of 2,900. Another sister ship named Celebrity Apex will arrive in 2020.